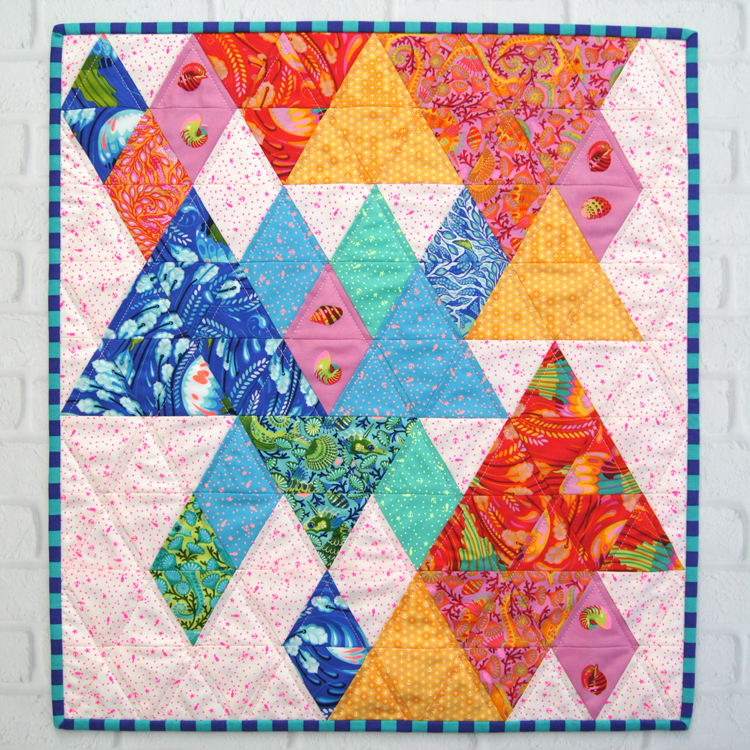 Make a Bright and Bold statement with this Triangle Quilt. 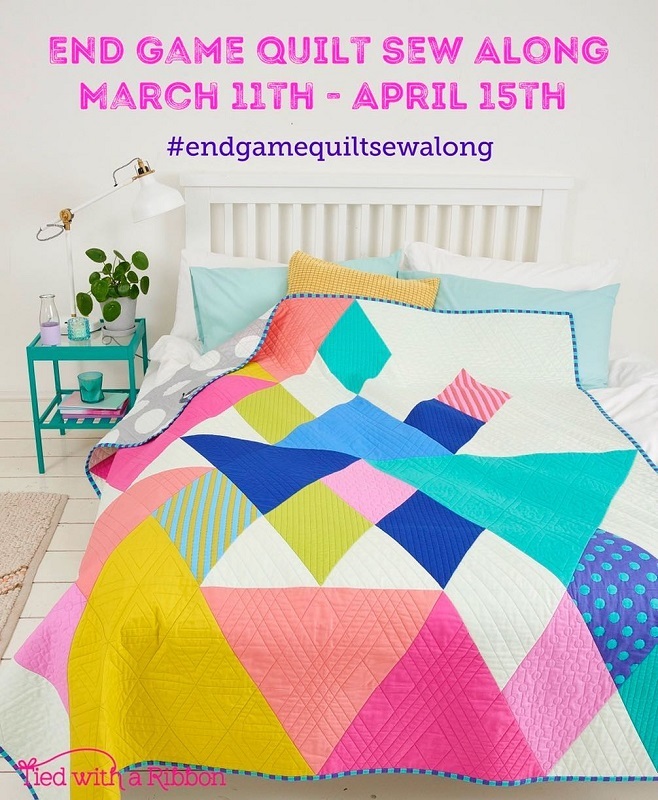 For all those modern Quilt lovers then this quilt will be perfect for Solids or your favourite prints in this geometric fun design. 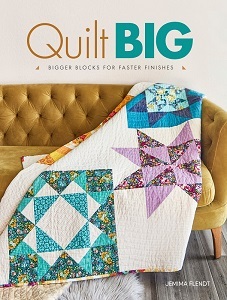 Fabrics from Tula Pink's solid range plus pom pom's and stripes from her All Stars range for the quilt op including binding as shown on pattern cover. 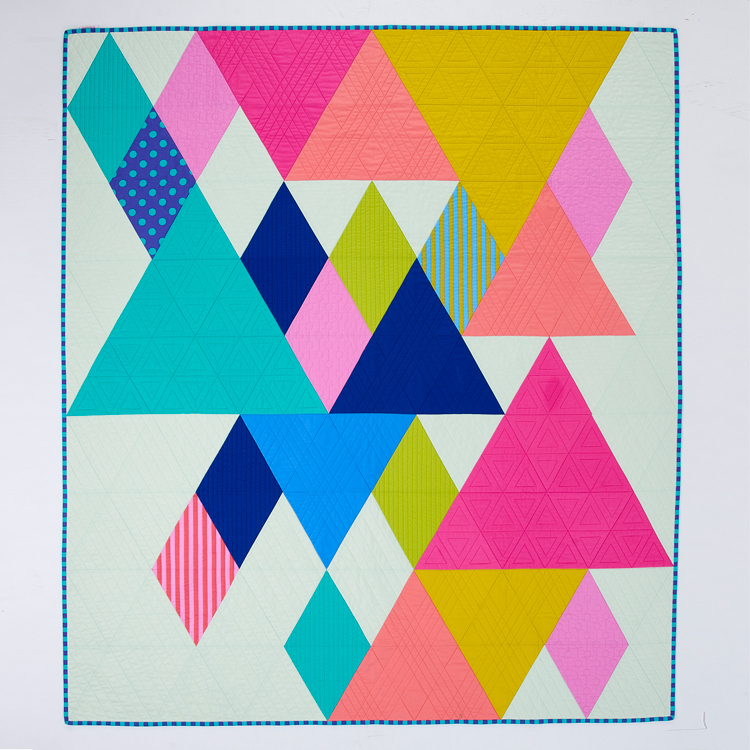 COLOUR OPTION: Jemima has used 'Glacier' for the background which is a very light mint colour. If you would prefer a White or Putty (light Grey) background please select the option when adding this kit to your cart. 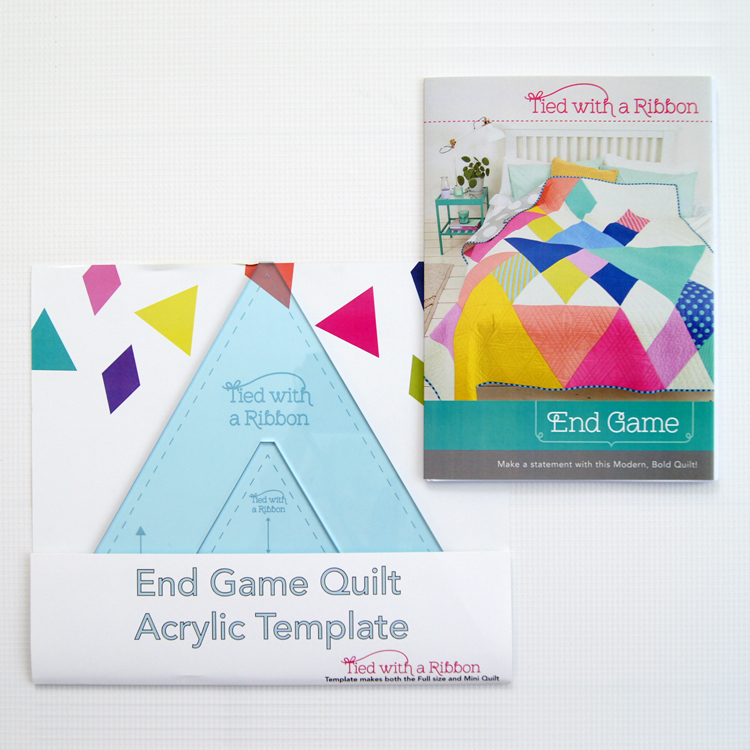 The set contains 2 Acrylic Templates to use for cutting out your Equilateral Triangles with your project. 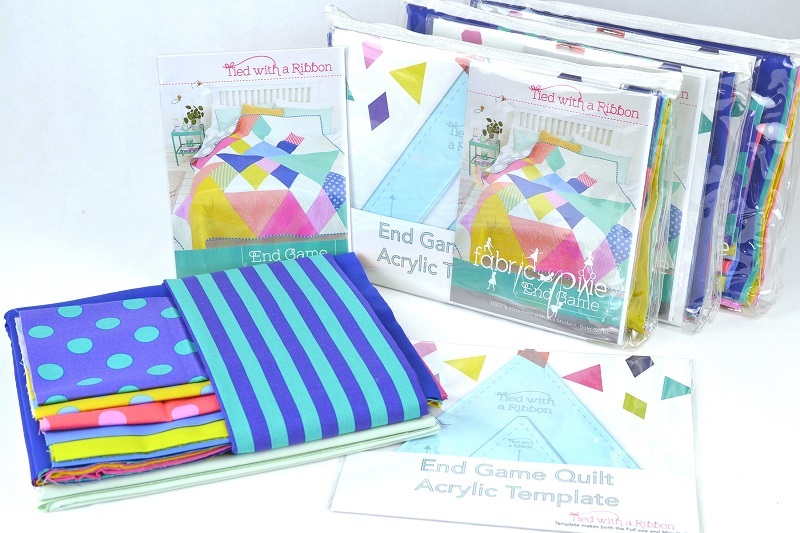 Both the Templates to make the Full Quilt and Mini Quilt are included (not available individually). 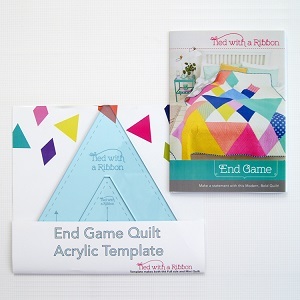 IF YOU ALREADY HAVE THE PATTERN AND TEMPLATES PACK AND JUST NEED THE FABRIC KIT - ENTER COUPON CODE ENDGAMEPATTERN AT THE CHECKOUT AND IT WILL DEDUCT OFF THE COST OF THE PATTERN AND TEMPLATES ($43.50) THE KIT.